The number of people overdosing on opioids has continued to rise over the years. Around 130 people die every day from an opioid overdose, including prescription and non-prescription. Opioids are prescribed for serious reasons: dental surgeries, sports injuries, cancer, etc. While these are meant to be a quick solution to help the pain, these medications are highly addictive. Opioids are so addictive for the fact that they activate your brain’s “feel good” neurotransmitters. As you continue to take these medications, the more your body becomes dependent on them and people begin needing more to achieve that “good feeling” or their high. 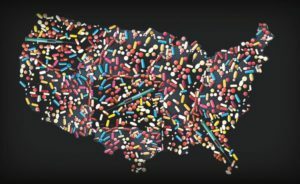 Who’s at Risk For Opioid Addiction? While anyone can be affected by opioid addiction, people aged 25-44, are most commonly affected. There are many risk factors that play a role in addiction. Poverty, family history of substance abuse, history of depression or anxiety, stress, etc. can all be risk factors for an opioid addiction. Women also have a higher chance of becoming addicted to opioids, as they are more likely to suffer from chronic pain and they have more biological tendencies to become dependent on prescription pain medications compared to men. There are a lot of different opioids out there today such as Codeine, Morphine, Fentanyl, OxyCotin, and Pecocets. These should not be taken with alcohol, some antidepressants, some antibiotics, or sleeping pills, as they can be dangerous and may lead to overdose. It’s estimated that 4-6% of people who misuse prescription opioids transition to heroin. How did we even get here? Why are opioids so commonly prescribed when we know that they are so highly addictive? It started back in the 1990’s, when these pharmaceutical companies swore that these prescription opioids would not have an addictive effect on anyone. As medical doctors believed them, they began prescribing them a lot. It is more expensive for insurance companies to pay for alternative treatments such as acupuncture, chiropractic, etc., when they could help diminish the opioid crisis. Luckily, some insurance companies are realizing the excessive amounts of addictions and overdose, and are taking a stand to help battle this crisis. Cigna, Aetna, and Blue Cross Blue Shield are taking steps to help prevent deaths and to dull the number of people who are becoming addicted. Cigna is playing their role by accessing patient’s prescription information and flagging high risk patients. They then reach out to the doctors to research themselves to see if their medication use is appropriate or not. Regardless of the doctor’s decision, Cigna can step in and limit the patient’s available pick up places, along with who can prescribe these medications. Aetna has set up a program known as the “Guardian Angel”, which reaches out to victims of a non-fatal opioid overdose and helps to education these people on treatment options, along with social support options. For patient’s receiving dental procedures, Aetna has set up a list of doctors who use Exparel instead of opioids to combat dental procedure pain. Experal is given during surgery and will provide patients with three days of pain relief. This medication is not addictive and is much safer for patients. Aetna now covers treatments such as acupuncture, chiropractic care, biofeedback, and physical therapy. Blue Cross Blue Shield also covers acupuncture, along with Cigna who has covered acupuncture, but in 2017 reduced to copayments to only $15-25 a visit. Acupuncture Treatment: Can This Be a Safe Alternative? So, what role does acupuncture play in the opioid crisis? Most people take opioids for injuries, chronic illness, cancer treatment, and orthopedic problems. Acupuncture can help treat all of those issues, and it is a much safer, more effective treatment. Acupuncture has little to no side effects and it is not addictive at all. With more insurance companies covering acupuncture, patients would have better access to acupuncture treatments instead of having to take opioids to help with their pain. Acupuncture is also a helpful treatment for those already struggling with opioid addiction. Acupuncture works by aiding the body in producing its own chemicals that copy the euphoric feeling that someone would get from taking drugs. Acupuncture can help combat addiction by using thin needles which are placed in 5 designated ear points in each ear. These points are helpful not only with patients detoxing, but also helping them emotionally and psychologically. A study was done in 2016 to see if acupuncture could be beneficial in a medical setting. The study took place in an emergency department setting. The goal was to see acupuncture vs morphine to treat patients with moderate to severe pain. Researchers also were measuring pain reduction time and any short term adverse effects. There was a total of 300 patients; 150 receiving acupuncture and 150 receiving morphine. At the end of the study, it was determined that acupuncture was much more successful than morphine in pain reduction. Also, out of 89 patients who had side effects, 85 of them were in the morphine group and 4 were in the acupuncture group. 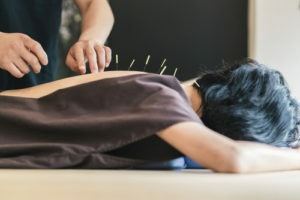 Especially with the opioid crisis, acupuncture should definitely become a treatment in a medical setting where people would be prescribed opioids. If you know someone who is suffering from an opioid addiction, there are ways that you can help them. Sadly, most addicts don’t even recognize that they have a problem, but there are resources that you can use to help them want to seek treatment. Even if they don’t think they have a problem, you should try to get them to a doctor for evaluation. While you may think that having an intervention with other family and friends, this sometimes escalates the situation and there is no research to prove that interventions actually work. Your main priority should be getting your loved one to a doctor as soon as possible. 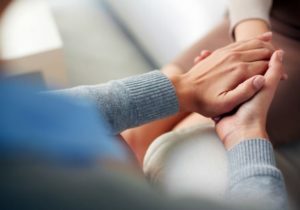 If your loved one is still hesitant, you can seek out a treatment center on your own that you think will best appeal to them, in hopes that it will convince them to seek treatment. Some people have already tried treatment and are scared it isn’t going to work again. After returning home, some people will quickly return to their addiction. But just because they have relapsed does not mean that rehab will not work; it just means that they are needing continued treatment or that their treatment needs to be adjusted. The best thing that you can do to help a loved one suffering from an opioid addiction is to be supportive and help them along the way. 2019. Opioid Overdose Crisis.National Institute on Drug Abuse. Moghe, S. 2016. Health Insurance Companies Step Up To Fight The Opioid Epidemic. CNN. 2018. Aetna Making Progress In It’s Fight Against Opioid Misuse, Abuse. Aetna. 2018. Capital BlueCross Announces Significant Reduction in Opioids Dispensed Following Prescription Limitations. Capital BlueCross. 2018. How to Tell If a Loved One Is Abusing Opioids. Mayo Clinic. 2019. How to Tell If Your Adult Friend or Loved One Has a Problem With Drugs. National Institute on Drug Abuse. 2018. Acupuncture’s Impact On Opioid Addictions and Pain Management. Pacific College of Oriental Medicine. Drosnes, D. 2018. It’s Time For Insurance Companies to Cover Alternative Pain Treatments. Caron. 2018. Acupuncture for Opioid Recovery. Seasons in Malibu. Mind Matters: The Body’s Response to Opioids. National Institute on Drug Abuse for Teachers. 2018. How Opioid Addiction Occurs. Mayo Clinic.